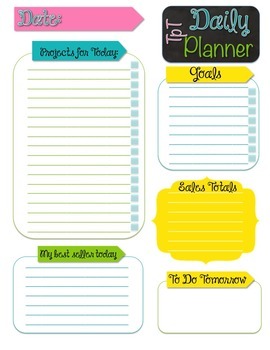 The fun way to organize your day--easily and instantly with these EDITABLE daily planner pages! 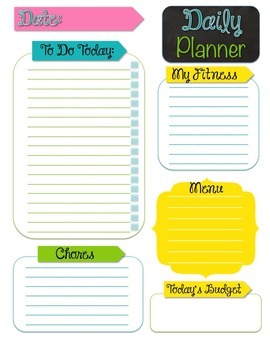 Use these daily planner pages on your desk at work or hang somewhere in your home office! 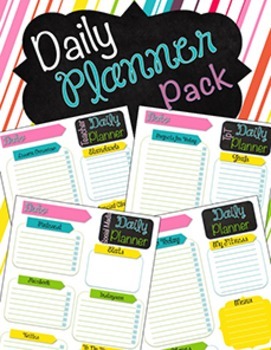 Print as many pages as you'll need for each daily planner and bind/staple together. I've included a PDF file format as well as an EDITABLE power point file format! This is a TpT seller resource pack (the social media and TpT pages are for sellers). This is also a resource pack for the everyday teacher-mom (teacher daily planner and an at home daily planner). CHECK out my Planners Bundle Pack!! Each planner page is in an 8.5 x 11 format. No worries! I hope you enjoy!! I'd love to hear your feedback! Or better yet, design requests!